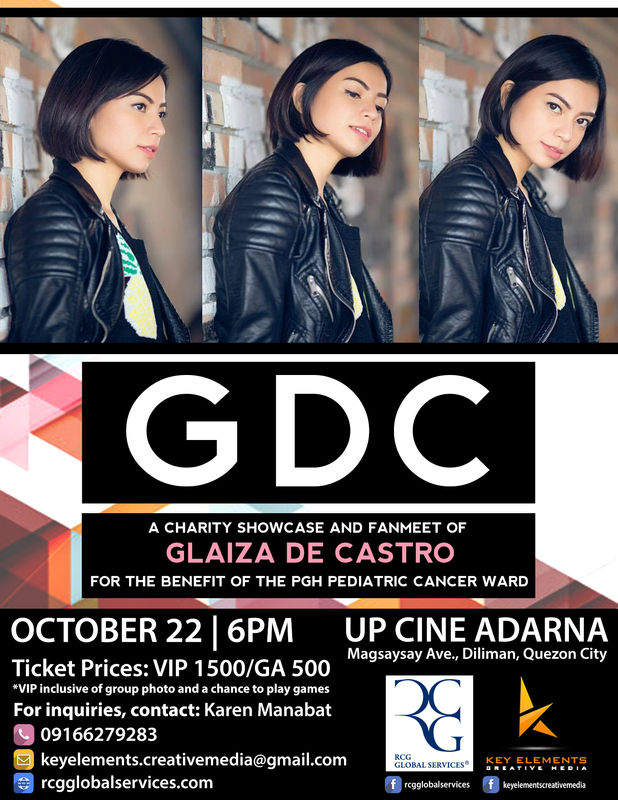 Glaiza de Castro Charity Showcase Event and Fan Meet in UP Cine Adarna! Key Elements Creative Media, in partnership with RCG Global Services, Inc., brings you a Charity Showcase Event featuring Filipina actress and singer, Glaiza De Castro. Glaiza De Castro is known for her roles in the top-rating primetime series in GMA called The Rich Man’s Daughter, and currently, she plays the role of Pirena in the 2016 remake of the fantasy series Encantadia. In 2015, she launched her self-produced album called Synthesis which has already won a Gold Record Award. The GDC Charity Showcase and Fanmeet is a 2-hr event happening on October 22, 2016, Saturday, at the UP Cine Adarna. Gates open at 6pm. Tickets only cost Php 1,500 for the VIP and Php 500 for General Admission. What’s more? All proceeds will go to our chosen beneficiary, which is the PGH Pediatric Cancer Ward. As you can see, it’s all for a good cause! See Glaiza perform her songs live, get a chance to ask her your questions, and interact with her through fun games! Not only that, Glaiza is also launching something big on the said event. So grab your tickets right away! 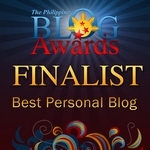 My presence in the online world is hardly felt last week. I focused on watching the competing films featured at the 7th Cinemalaya Philippine Independent Film Festival. There are over 30+ films featured and just like the previous years, I focused on the New Breed Category. There are nine competing films under the New Breed category this year and I am proud to say that I saw ALL of them. I am happy with the line-up of indie films this year. 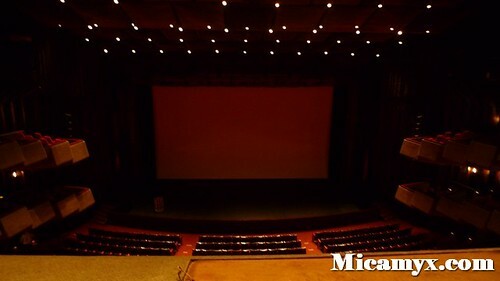 The organizers see to it that the movies for this year are from different genres with various themes. These movies made me cry, laugh, wonder, worry, depress, grateful and learned a lot from each film. The trailers are not spoon-feeding. I noticed a number of films that gave a melodrama impression to those who viewed the teasers on YouTube, but they end up to be far from what we expected. I think that is a big plus compared to most of our mainstream films where they give too much information about the story. Why watch then? I only missed three days in Cinemalaya: The Opening Night, the Sunday and Wednesday screening. I was present in the rest of the movie days and luckily, I got the chance to attend the Gala Premiere of the following movies: Nino by Loy Arcenas, I-Libings by Rommel Sales, Isda by Adolf Alix Jr., Ang Babae sa Septic Tank by Marlon Rivera and Chris Martinez, Cuchera by Joseph Laban, Ligo Na U, Lapit na Me by Erick Salud, Ang Sayaw ng Dalawang Paa by Alvin Yapan, Bahay Bata by Eduardo Roy Jr., Rakenrol by Quark Henares and Zombadings 1: Patayin sa Shokot si Remington by Jade Castro. Whew!